Exact Logistics has joined the Fortec distribution network to extend its customer offering. Exact Logistics transports anything from a single pallet to a full load from anywhere in the UK to and from Germany. The company chose Fortec because of the flexibility of it service, its close proximity to Exact Logistics and its recent £3 million expansion which brings domestic and international freight under one roof. 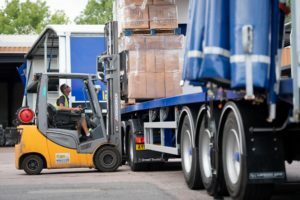 “As our company continues to grow, and as our customers’ needs continue to grow, being part of a pallet network is becoming ever more crucial,” said joint managing director Karen Shuter.